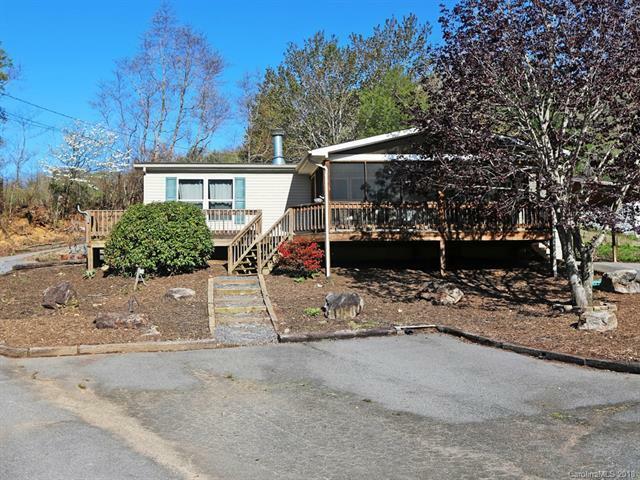 76 Line Drive, Maggie Valley, NC 28751 (#3386784) :: Robert Greene Real Estate, Inc.
Take advantage of the beautiful, quiet country setting, but also the convenience to town! Offering 3 bedrooms/2 baths, living room with gas fireplace, kitchen with breakfast bar, master suite with dual sinks, garden tub & walk-in shower. Gorgeous landscaping with large firepit area, huge covered/screened front deck, detached double car garage and single carport. Less than 5 minutes to Maggie Valley and only 10 minutes to Waynesville.